The Moroccan State has recently set up the "Ecosystem Services" project, in partnership with the Federal Republic of Germany. It was launched on February 6, 2019 in Rabat, Morocco. The project aims to enhance the capacities of public and private stakeholders in the sustainable use of resources and the conservation of biological diversity. The Moroccan State has recently set up the "Ecosystem Services" project, in partnership with the Federal Republic of Germany. It was launched on February 6, 2019 in Rabat, Morocco. The project aims to enhance the capacities of public and private stakeholders in the sustainable use of resources and the conservation of biological diversity. The “Ecosystem Service” project that Morocco has just launched in partnership with Germany marks a new beginning for the Cherifian kingdom in the protection of biodiversity. 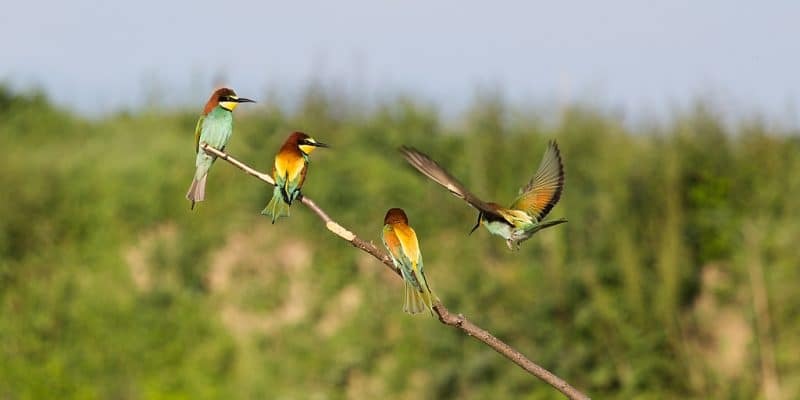 The main objective that both parties want to achieve is to legally and sustainably anchor the value of biodiversity and ecosystem services in sectoral planning through instruments and institutional mechanisms that integrate climate risks,” as reported in the online journal, Maroc diplomatique. For this first stage, the project will be tested in two pilot regions: Blessed Mellal-Khenifra and Souss-Massa. Over the next four years, measures will be taken in Morocco to strengthen the institutional and legal framework and capacities of public and private sector operators for better biodiversity management. In addition, the protection of the latter will be integrated into the development of sectoral policies and planning. In other words, the project will implement a national strategy to conserve and use biological diversity more sustainably and promote good governance and convergence of government actions for the protection and sustainable use of biodiversity. In the long term, the project will strengthen resilience to climate change. It will support the government and enable it to become more aware of the effects of climate change on ecosystems when developing sectoral policies and plans. The project was initiated by the State Secretariat for Sustainable Development. It is funded by the German Ministry for the Environment, Nature Conservation and Nuclear Safety and will be presented at the end of 2022. In Morocco, ecosystem degradation will lead to an 11% decrease in the remaining natural areas by 2050.